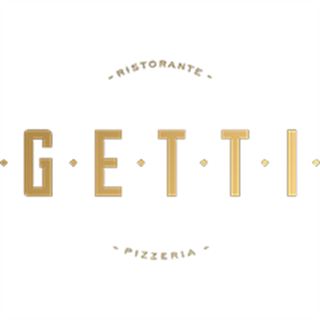 Getti – vibrant Italian restaurants situated in 16/17 Jermyn Street. Created by Stefano Fraquelli, dynamic entrepreneur and long established figure of London’s restaurant scene, these restaurants encapsulate the flavours, aromas and essence of the broad repertoire of regional Italian cuisine, as well as the spirit and spontaneity of Italian lifestyle. 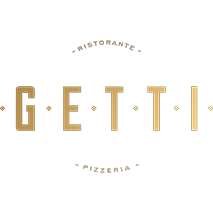 With a fresh design scheme, dominated by strong blue and white interiors, Getti’s ambience recreates the feeling of the beautiful areas surrounding Lake Como – to which the Fraquelli family origins can be traced – and radiates the sunshine of the Mediterranean, the primary source of the simple and fresh ingredients of Getti’s cooking. We really enjoyed our early evening meal, and being able to try a variety of dishes. The puddings were delicious and the cheesecake was AMAZING. The staff were very attentive and the meal served quickly. post-theatre dinner on Good Friday so it wasnt so busy that late. But food and service were excellent and it was the perfect end to the day. The calves liver was melting.We would undoubtedly return. Tasty food, excellent service and great location! Lovely pizza, quick service over lunchtime period! An excellent venue for a relaxed meal, either lunch or dinner. Good food with efficient service but not over intrusive. Adequate wine list. Suitable for both formal and informal dining. Had a pleasant pre-theatre meal here. Food was good and service attentive. Recommended. Lovely place for a business lunch or catch up with friends. Staff were really helpful, nice and the lunch came quickly which was great! service was excellent. friendly and professional. food was of a really good standard. Vill ni äta på en stel restaurang. När servitriserna/servitören bara står och tittar på en och inte jobbar. vi åkte två stycken och ville dela på maträtterna och det fick vi ej..... dom ville också pracka på oss mat hela tiden ! Maten var inte så god för de priset. Här kommer vi inte äta igen ! Small restaurant that delivers on taste and atmosphere. I had a lovely meal here with my husband and brother in law yesterday. The food was fresh and appetising and tasted as good as it looked. Service was also on point and I would definitely recommend this place to colleagues,family and friends. Best calves' liver in town! Lovely food, very courteous service. Wouldn't choose to have music in this oasis of peace in the busy West End, but noise was kept reasonably low to allow conversation! Perfect for theatre evenings. We had an excellent meal yesterday. There were plenty of staff and the service was top quality - both rare in London these days. Everyone loved their food and we hope to visit again. Thank you, this is the kind of smaller restaurant that London badly needs. We had an early dinner on a busy new year's Eve before a show. The service was fantastic and the food fabulous. We love our waitor. He is so funny. But he did not have a name tag. So we don't know who he is. Put name tags on your waitors! Great evening at this restaurant. Staff very attentive, food and drinks were good. Would recommend!